Why Are These the Least Powerful Passports? 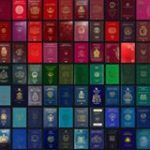 The above passports are the least powerful because they grant visa-free travel to so few countries compared to other passports, such as Germany. You can see the breakdowns for each passport using the Passport Index Compare tool. Their citizens must apply for travel visas beforehand if they’d like to travel to the other 160-odd countries in the world. There are 196 countries in the world in total. As such, these passports grant visa-free access to less than 20% of the world’s countries. But why is Sudan’s passport less powerful than Yemen’s when both passports have a visa-free score of 37? And similarly for the other countries with scores of 37? The answer is that the portion of Yemen’s 37 that comes from its visa-free score versus its visa-on-arrival score is higher than Sudan’s. If we look at the individual ranking in Passport Index, we can see that Yemen has a visa-free score of 10 and a visa-on-arrival score of 27, for a total score of 37. Meanwhile, Sudan has a visa-free score of 5 and a visa-on-arrival score of 32, also for a total score of 37. Since Yemen allows visa-free travel to five more countries than Sudan, it has a higher standing in the ranking. Where there is a perfect tie, as in other places in the ranking, Passport Index has ranked the countries based on the United Nations Development Programme Human Development Index, using it as a tiebreaker. The index is a measure of average achievement in human development, such as living a long and healthy life, being knowledgeable and have a decent standard of living. Why Is the Afghan Passport the Least Powerful? The Afghan passport is the least powerful because it offers visa-free travel to only three countries and visa-on-arrival travel to just 21 countries. 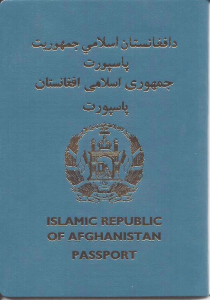 For all other international travel, holders of Afghan passports must obtain travel visas beforehand, a typically costly and time-consuming procedure. Interestingly, Afghanistan has an HDI value of 0.465, placing it firmly in the low human development category of the index. In most cases, the more developed a country is the more likely it is to allow increased global mobility via visa waiver agreements. How Might These 10 Change in the Future? The main way the Passport Index ranking can change is if a country experiences a change in visa waiver policies for or against it. For example, if a country signs a visa waiver agreement with a country with which it previously did not have one, then its score would increase. Similarly, if a country decides to revoke the visa waiver agreement it has in place with one of these 10, then that would negatively affect the visa-free score of the country since it no longer offers visa-free travel to the revoking country.